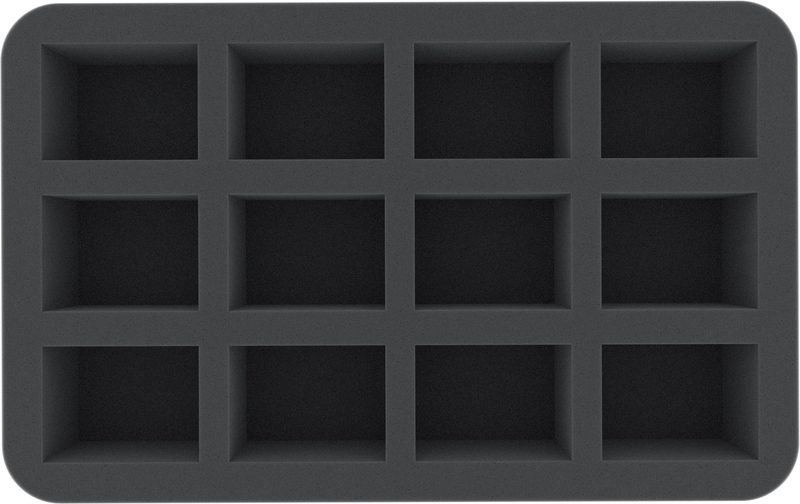 This foam tray has 12 compartments which are custom cut to hold Necromunda: Underhive miniatures. 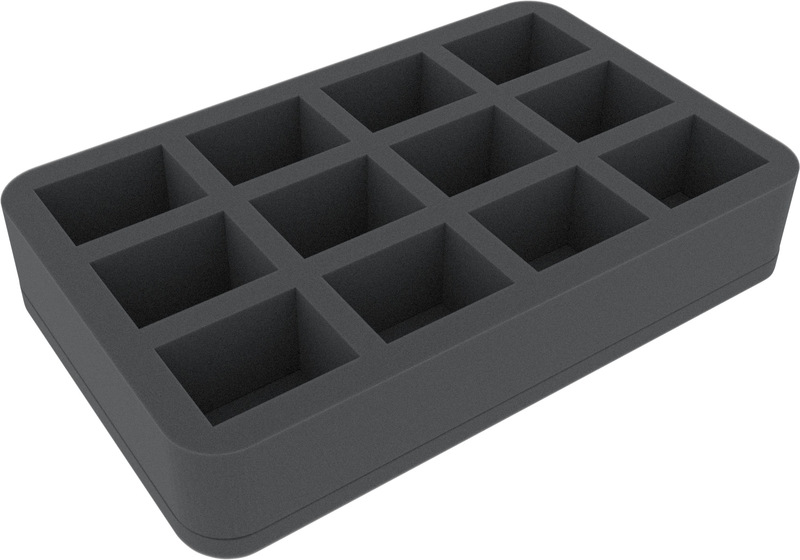 The compartments have the following base area: 54 mm x 41 mm. The high-quality foam protects the minis from breaking and paint from peeling off or getting scratched.